It can be difficult to plan catering for a special event, but it doesn’t need to be that way. 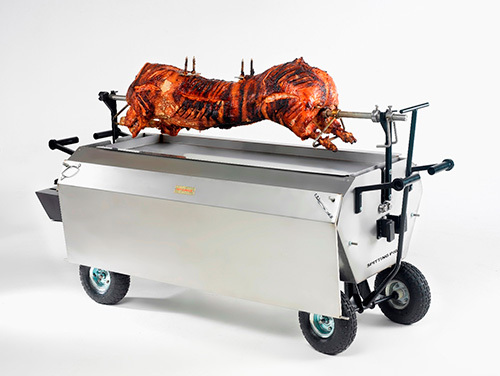 A hog roast machine makes it possible for you to serve pork and other meats that have been perfectly cooked to all of your guests. 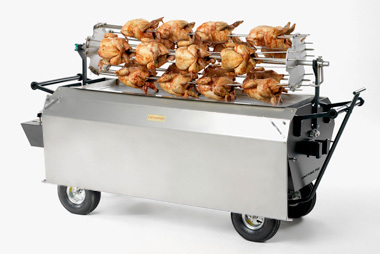 Top of the range roasting machines are available from hireahogroastmachine.com, and these can be successfully used for all of your catering needs. 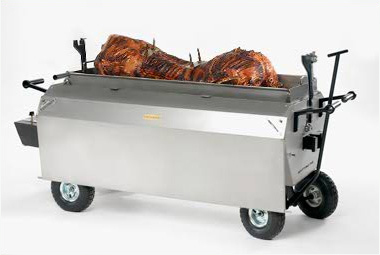 Using one of our machines will ensure that the catering that you provide for your special occasion is of the very highest quality. 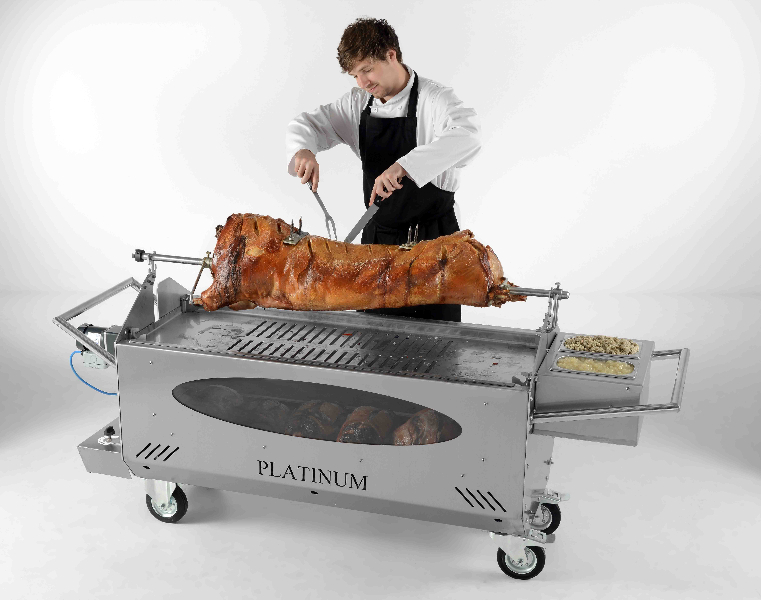 Our Platinum range is one of the most popular types of machine that we offer as it makes the ideal choice for either a one off occasion or as an addition to a complete events catering package. 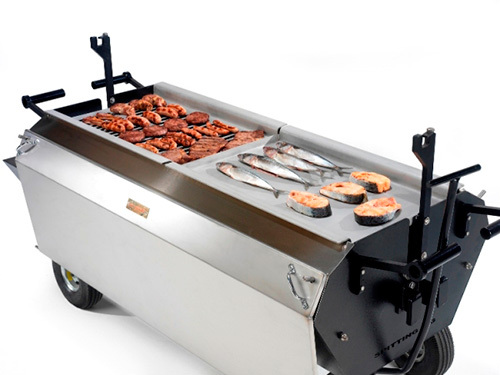 It is a very versatile piece of kit indeed, with the ability to cook a variety of other BBQ food as well as the pork that everyone knows and loves. It’s easy to change the food that you cook when you have the right extension packs that enable you to add a bit of variety to your menu. 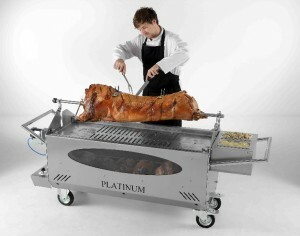 The Platinum roaster also includes handy pneumatic tyres so it can be used both inside and out. These allow the machine to be used for special occasions and events all year round as it can simply be moved indoors if the weather takes a turn for the worse. 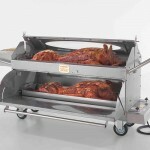 This roaster also comes with a waterproof cover so the machine and the meat can be protected from the weather if you experience a short shower of rain while cooking outdoors. All of our machines have a very professional look, with a stainless steel exterior that is easy to keep clean so the machine will always look its best. Display panels are also provided so that guests are able to see the meat being cooked – a sure fire way to whet their appetite for when the food is ready to be eaten. 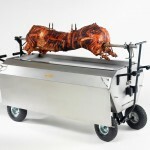 Our hog roast machines are available to rent or buy, depending on your needs. An instructional DVD is included for those who have had no previous experience in hog roasting. This will ensure that you’ll know exactly what you are doing, allowing you to create delicious catering for your event straight away. The DVD will cover everything from cooking the meat, to carving and serving it. 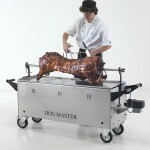 It also includes many different ideas for presenting the meat after it has been cooked too. Please contact us to find out more information about renting one of our Platinum machines for your special event. If you have a number of events to cater for then purchasing a machine may be a better option, this is also something that can be discussed with our friendly staff too. Copyright © 2019 Hire A Hog Roast Machine . All Rights Reserved.